COMPANY PROFILE New York Community Bancorp Inc has over $45 billion of total assets and operations spread across various locations across five states. It operates most of its business operations from the New York metropolitan area. New York Community Bancorp has roughly $49 billion of total assets and 270 banking locations across five states, though the majority of operations are in the New York metropolitan area. 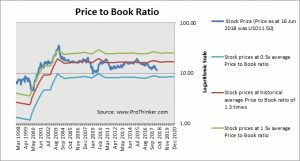 At the price of USD11.50 as at 16 Jun 2018, New York Community Bancorp Inc is trading at a Price to Book Ratio of 0.9 times current book value. 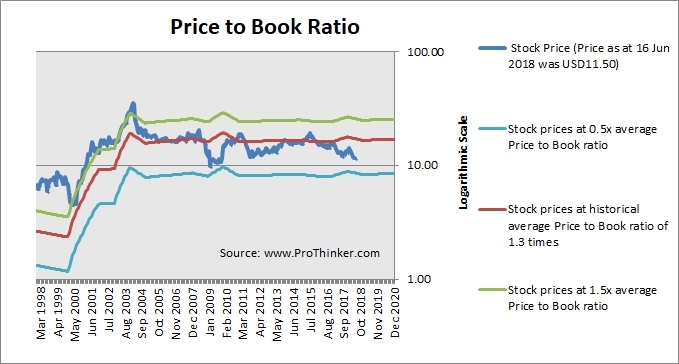 This is a 33% discount to its historical average Price to Book Ratio of 1.3 times.